The Huron PTO is a nonprofit parent/teacher organization whose membership includes all parents, legal guardians and staff at Shawnee, Woodlands and McCormick Schools. 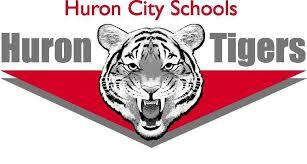 The Huron PTO's mission is to promote open communication and understanding between parents and staff. Our efforts serve to enhance and maximize the education of every child while aiding them in achieving their highest potential. The Huron PTO sponsors assistance to teachers inside the classroom and outside settings, holds fundraisers for supplemental educational materials, experiences, supports school and family social interaction, and provides a non-biased forum for sharing information on issues that impact our children. It is our belief that the team effort of a PTO offer the best possible learning environment for our children. A Parent Teacher Organization (PTO) is a formal organization that consists of parents, teachers and school staff. The organization's goals may vary from organization to organization, but essentially the goals include volunteerism of parents, encouragement of teachers and students, community involvement, and welfare of students and families. It is not affiliated with Parent-Teacher Association (PTA) or Parent-Teacher-Student Association (PTSA.) PTA is a national association of millions of members and thousands of local units that provides leadership training and staff support. All meetings are held at 6:30 pm on the first Tuesday of the month at the Huron Public Library.